Chateau / Country House1399 sq. ft. There are three bedrooms, two with double beds and one with two single bunk beds, In a room is air-conditioned. There are two bathrooms with shower. Ruhig, sehr sauber und modern. Mega cool. Man muss wissen dass es 2 Wohnungen sind. Preis lohnt sich. Immer wieder gerne. Achtung Anfahrt sehr anspruchsvoll, da steil. Hatten einen SUV und es war jedesmal ein Abenteuer. Wenn man oben ist, paradiesisch. Toscana - Massarosa - 'IL SUNDRO' - N° 6205096. La descrizione della casa era accurata, pulito con tutto quello che serve. Nous avons passé de magnifiques vacances. La maison est conforme à l'annonce. L'endroit est calme avec une vue splendide sur la cote de viareggio. La piscine est magnifique et est entretenue tous les jours. Sandra et Roberto sont très accueillants, prévenants et chaleureux.Nous avons pu visiter lUCCA, pISE, fLORENCE, Sienne à partir de cette villa. "The house and the pool are wonderful!" 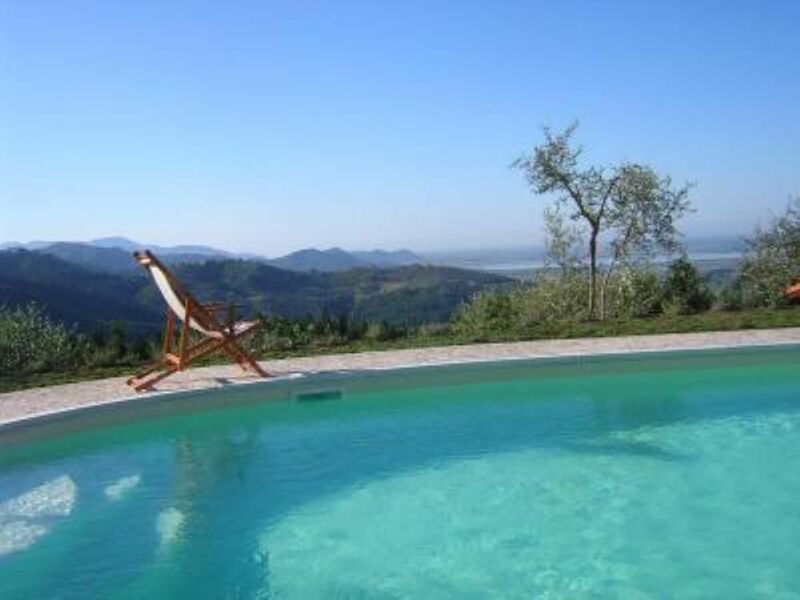 "We spent a wonderful week in this beautiful house in Tuscany style. The view is superb. The pool also. It was quiet and owners were very nice. Location is perfect to discover Tuscany." take the motorway follow directions for Viareggio, Massarosa,turn Montramito,Bargecchia. Tariffe scontate in relazione alla durata, Richiesto supplemento per il riscaldamento in base alla stagione, Deposito cauzionale, Caparra richiesta alla prenotazione, Consegna delle chiavi da parte del Proprietario presente in loco.